I absolutely adore this block! It’s filled with delicate sprays of tulips with the cutest little buds. They look just like green olives stuffed with pimento and I love green olives. 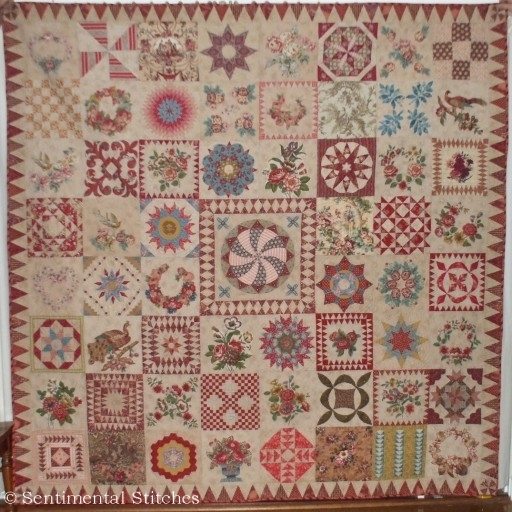 Be sure to click on the picture of the block to check out the fantastic quilting. There’s lots of great stitching. See what I mean? Isn’t this a pretty block. I think you could take one of the tulip elements and use it on a smaller block for something else and it would be just as pretty. I searched high and low for some history on Elizabeth and didn’t find anything I felt I could confidently say linked to her. 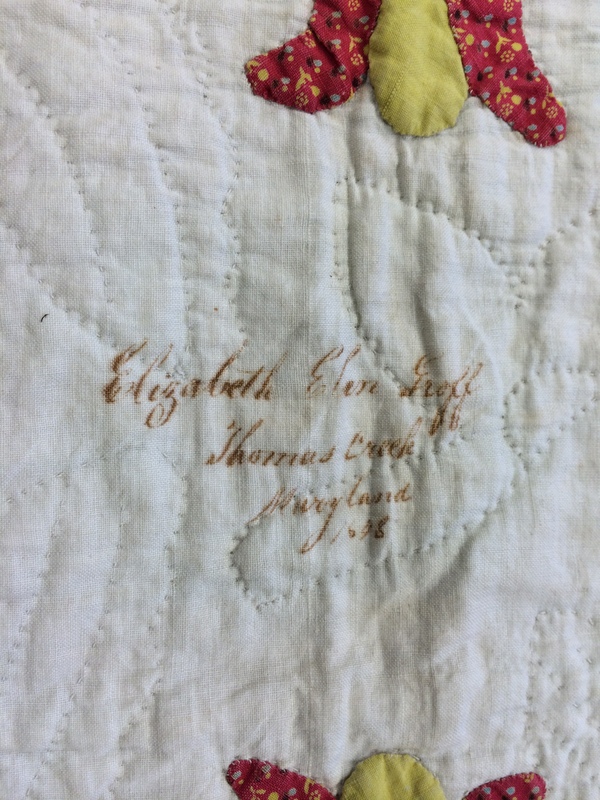 I did however find an interesting article on the Groff Families of Carroll County, Maryland. It contains an Elizabeth Groff but I can’t be sure it’s our Elizabeth. I think you’ll enjoy reading it anyway. Just click on the link in the previous sentence. 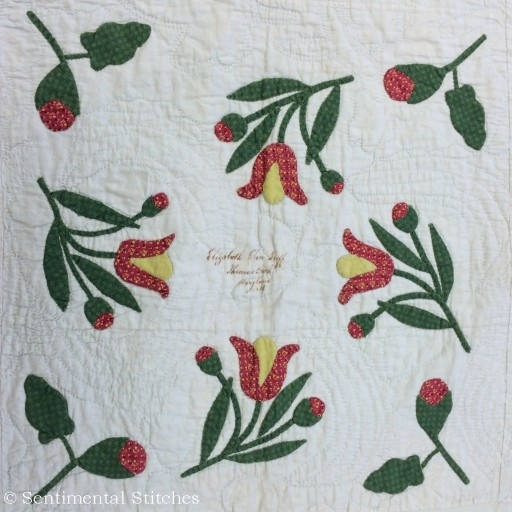 There are several new patterns in the online store including Di Ford’s beautiful Morrell Quilt and Corliss Searcey’s Caswell Quilt, both from Australia. If you’re here in the states you can get these huge patterns without the cost of international postage. 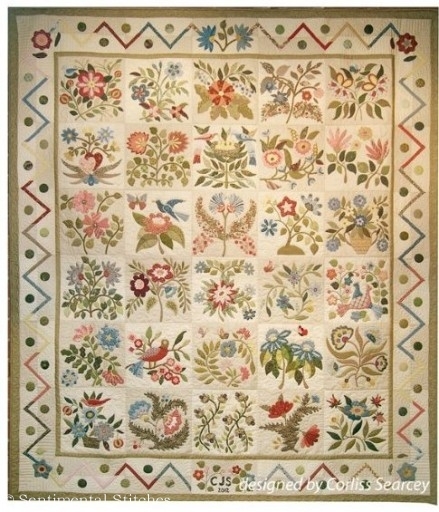 I sold out of the first shipment of The Caswell Quilt within hours but more arrived on Saturday. 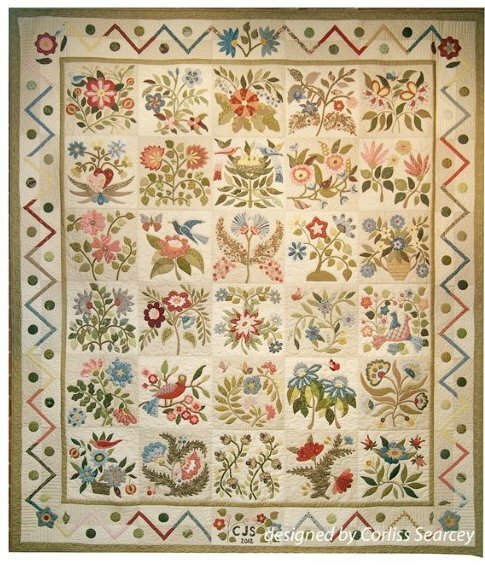 I always have a ready supply of The Morrell Quilt. 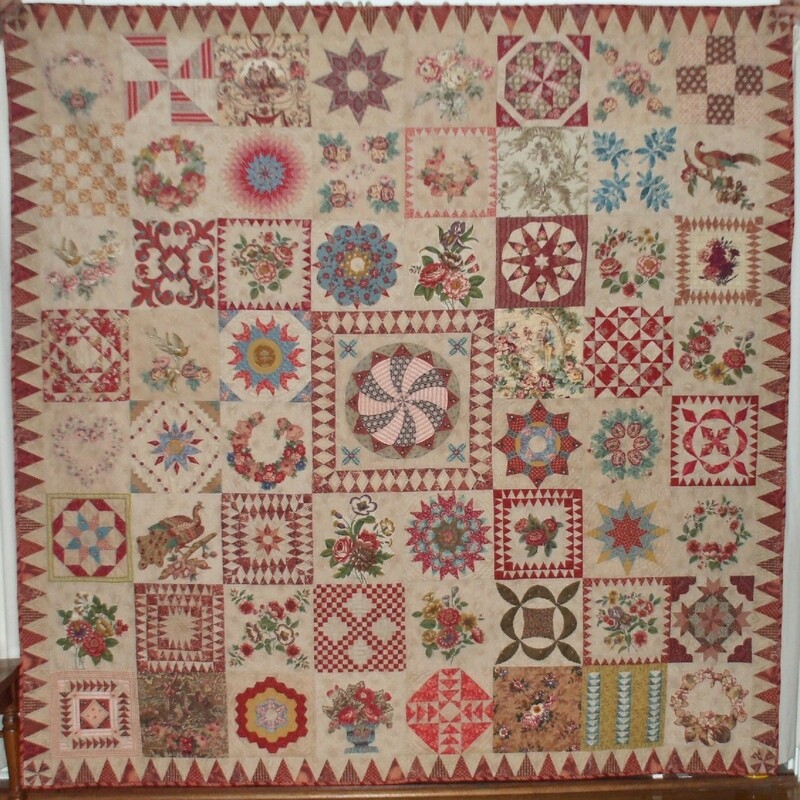 It’s a huge pattern filled with lots of information and beautiful examples of broderie perse. I’ll be adding more Australian patterns so be sure you’re signed up for the newsletter to hear about them as soon as they arrive. Be sure to check out all the new gift and notion items too. There are magnets, socks, microfiber cloths, brass needle treaders etc. More to come later this week. Several pair of the socks are making their way to South Africa! 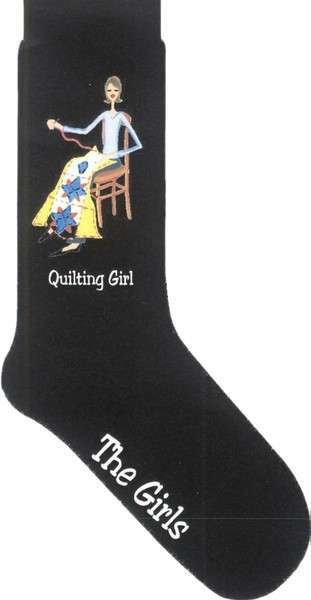 It always makes me smile when I see there are quilters everywhere in the world! We’re such an awesome bunch – who wouldn’t want to quilt?!? Brenda is busy this week getting ready for her Cowgirl Roundup so visit her for the latest news and click the link below for this months block.